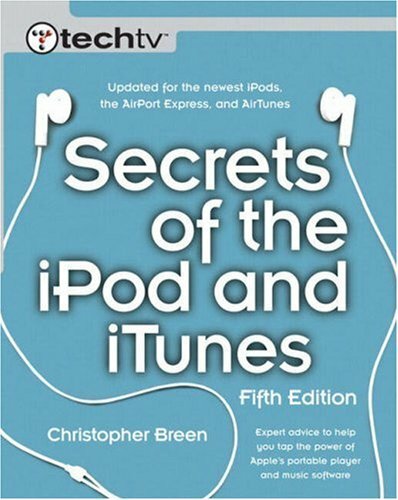 of its secrets--plus those of its big-sibling iPod and the newly updated iTunes 4.7 as well--trusted Mac teacher Christopher Breen has thoroughly updated his best- selling guide to the world's most popular digital music player. You'll learn the all-important basics of downloading, storing, and indexing your music plus all that's new in iTunes 4.7: the iMix feature, which lets you upload playlists to the iTunes Music Store (where other users can browse and even rate them); jewel-case printing; additional iTunes Music Store features (such as radio charts and a dedicated music video section); and more. You'll also find guidance for accessorizing and protecting your iPod and iPod Mini, tips for making the most of your storage capabilities, and troubleshooting advice for those moments when the diminutive device is uncooperative.